Honda’s reluctance to work with controversial Italian Max Biaggi again has resulted in the satellite Gresini squad today announcing that Shinya Nakano will ride for the Italian team in the 2008 MotoGP world championship. As was revealed in yesterday’s MCN, new HRC Managing Director Kosuke Yasutake strongly hinted at last weekend’s Malaysian GP in Sepang that the Japanese factory would block Gresini’s audacious swoop for the Italian 36-year-old. Gresini opened preliminary talks with Max Biaggi, who split from his factory Suzuki World Superbike squad last week, knowing it was a high risk strategy given that Honda and the Roman’s relationship had ended acrimoniously at the end of 2005. Honda’s official factory team dumped Max Biaggi at the end of a disastrous ’05 campaign and then Honda management blocked his move to the satellite Camel Honda squad. The wounds from that bitter experience have clearly not healed for Honda with Gresini today confirming that 30-year-old Japanese rider Nakano will partner Alex de Angelis in 2008. Nakano’s capture means that Toni Elias will soon be installed as the second D’Antin Ducati rider in 2008, leaving only the British-based Team Roberts to finalise its plans for next season. Yasutake had made it clear in Sepang that Honda wanted Gresini to sign Nakano, even though Gresini is understood to have wanted to take on a younger Japanese rider, if he was being asked to run a rider of that nationality. His personal preference was current KTM rider and Sepang 250GP winner Hiroshi Aoyama. Yasutake said: “We want Shinya to continue to race in MotoGP and there are several possibilities with the Gresini team including him. Yasutake had also raised obvious concerns about joining forces with Max Biaggi again when he told MCN: “The experience we had with Max in 2005 is likely to happen again if he rides for another Honda team. Nakano has had a bitterly disappointing campaign on board the Konica Minolta Honda RC212V. But by joining Gresini he will back on his favoured Bridgestone tyres and the former factory Kawasaki rider said: “It's my pleasure to work with the Honda Gresini Team. “I know Fausto, he was a rider before becoming a Team Manager and he has worked very well with Honda HRC for many years. “I will be pleased to learn something from the team and to work with my new team mate Alex de Angelis. Gresini said: “I'm happy to announce Shinya Nakano, that together with Alex De Angelis will be the colour bearer of out team on a Honda RC212V with Bridgestone tyres. “Shinya is a rider with a great potential, so far expressed only in part. “We strongly believe in him as also Honda HRC and Bridgestone do. “We have signed with the Japanese rider a one-year contract with an option. 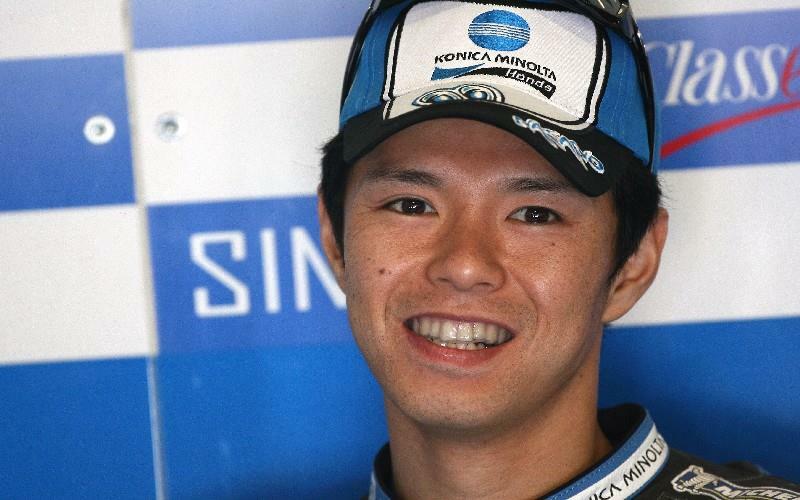 Shinya Nakano to clinch shock Kawasaki deal?